Ekling ji ( Temple of Lord Shiva ) : Eklingji is a Hindu temple complex in Udaipur District of Rajasthan in western India. 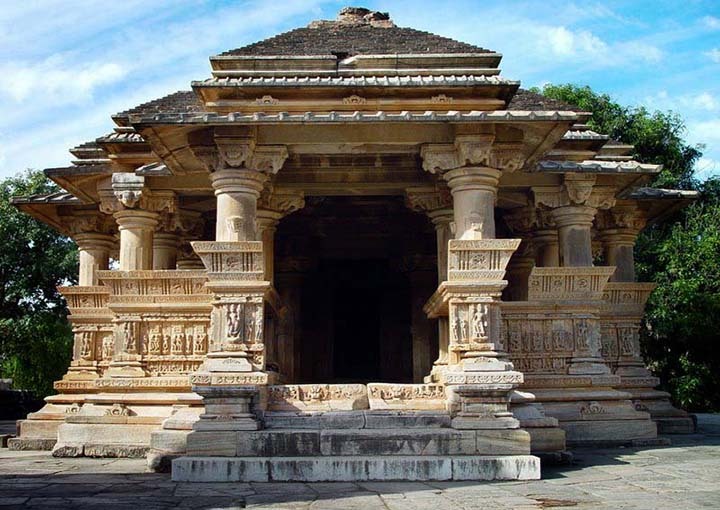 Eklingji is believed to be the ruling deity of Mewar Princely State and the Ruler Maharana rules as his Dewan. Begun in 971, the temple complex was built by the Guhila dynasty of Mewar, in honor of their presiding deity Eklingji, a form of Lord Shiva. The beautifully sculpted temple complex includes 108 temples within its high walls. The main temple, which dates to the 15th century, was rebuilt from the ruins of an earlier destroyed temple. The walled complex is made of marble and granite and has an enormous double-storied, elaborately pillared hall or “mandap” under a vast pyramidal roof, with a four-faced image of Lord Shiva in black marble. Another temple in the complex is the Lakulish Temple; built in 971, it is the only temple of the Lakulish sect in the whole of India. 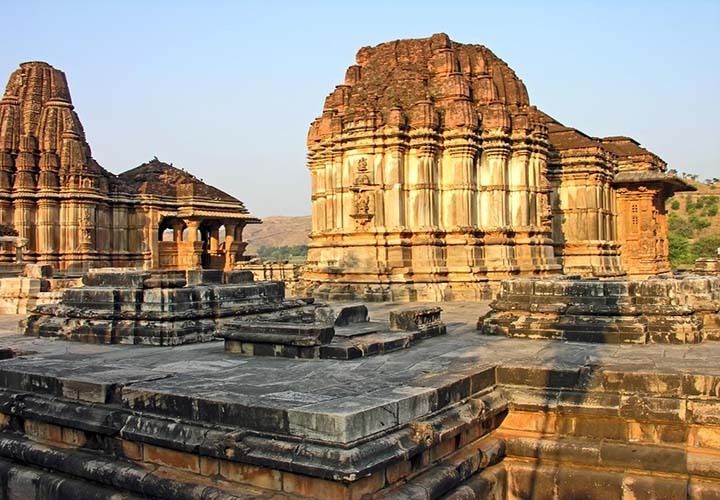 Nagda ( Ruins of 10th century temple ) : Nagda is actually famous for this unusual temple that dates back to the 10th century. The term ‘Sas-Bahu’ suggests ‘Mother-in-law and Daughter-in-law’ respectively. The temple is dedicated to Lord Vishnu and it is made in two structures, one by a mother-in-law and another, by a daughter-in-law. The main entrance to the temples is made through a door that has carved lintels and a multi-lobed arch in its middle. Both the structures are laid out on a same plan having an altar, a mandapa (columned prayer hall) with projections and a porch. Shreenath ji temple: The temple has been designed in the lines of temple of Nanda Maharaj (Krishna’s father), in Vrindavan. Therefore, it is also known as Nanda Bhavan or Nandalaya (the House of Nanda).Structurally, a kalasha on the shikhara marks the top of the temple, on which seven flags are flown along with the Sudarshana Chakra. The seven flags represent the 7 ‘houses’ of Pushti Marg or Vallabh Sampradaya. The temple is also popularly called Shrinathji ki Haveli (House of Shrinathji). With the mood of worship in Pushti Marg, Shrinathji is not seen as an impersonal God so the worship is not done like in a temple. Haldi Ghati: Haldighati is a mountain pass in the Aravalli Range of Rajasthan in western India which connects Rajsamand and Pali districts. 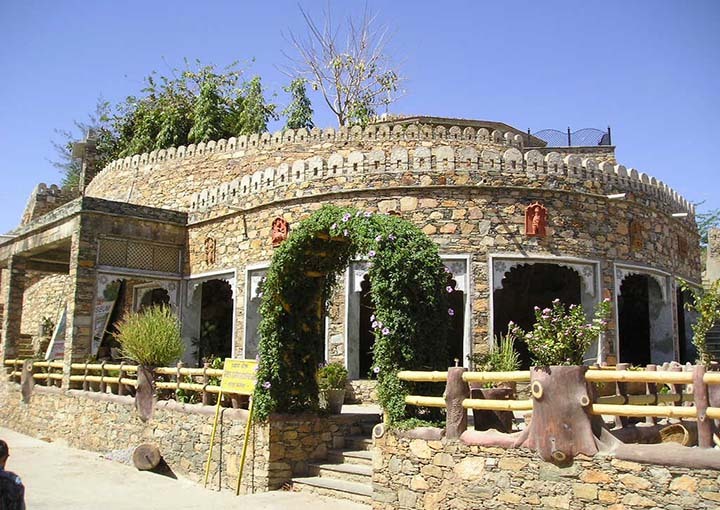 The pass is located at a distance of 40 kilometres from Udaipur. The name ‘Haldighati’ is believed to have originated from the turmeric-coloured yellow soil of the area . and return back to udaipur for over night stay.